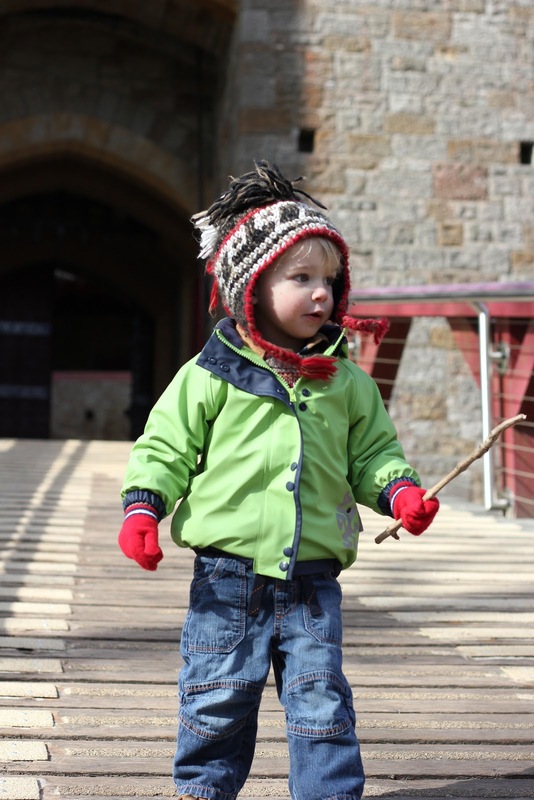 So the past weeks has had some great sunny spring days and then some typical raining welsh wintery days but as usual we try to make the most of what gets thrown at us. We spent most of wednesday and thursday outdoors, getting up to adventures and here is one of them. 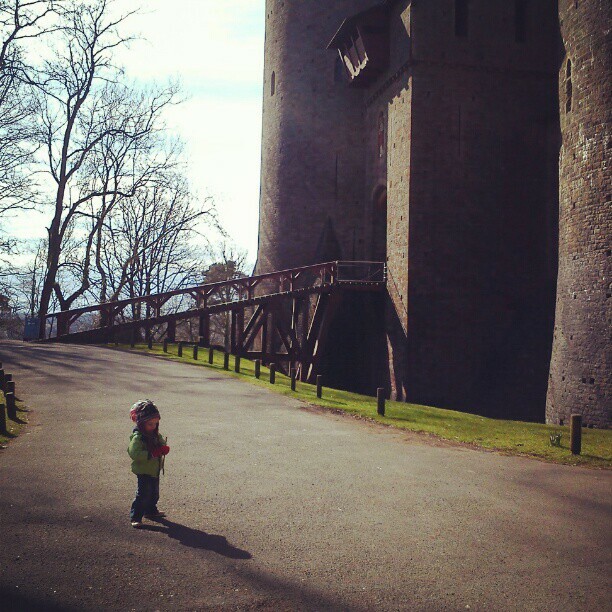 We had an early start on morning and got to Castle Coch bright and early in all the glory of the fresh spring sun. 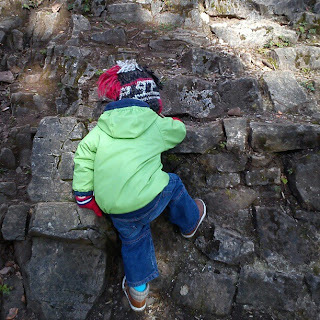 We spent most of the time running around outside and along some of the public footpaths that surround the castle as well as Mr A attempting to climb the castle wall. 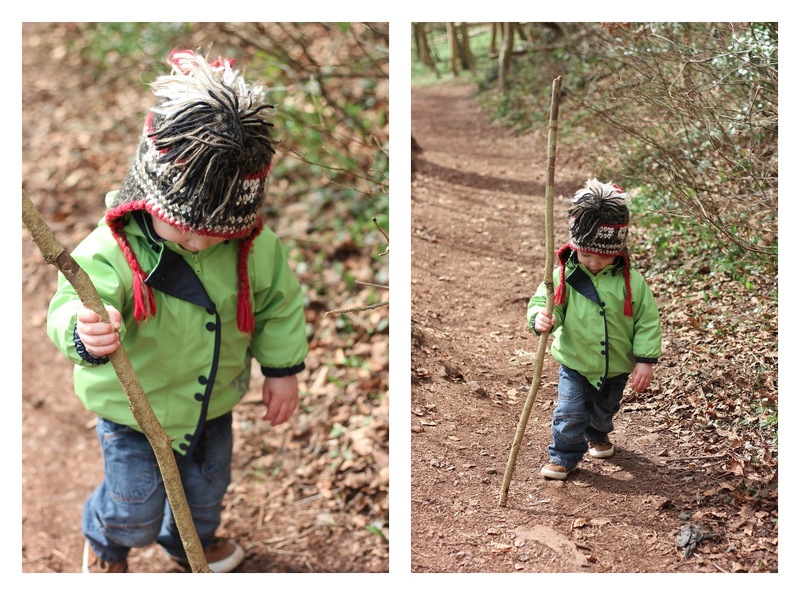 We came across a small stick perfect for a sword for Mr A who pretended he was a knight and a perfect walking stick for me. 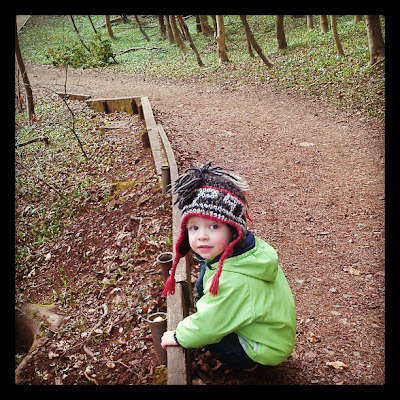 In the forest we laid down some of Mr A's apple core and waiting for the red robins to come and eat it, they were not shy and didn't seem fazed by our presence at all, Mr A loved seeing the little birds dance around from one branch to another. 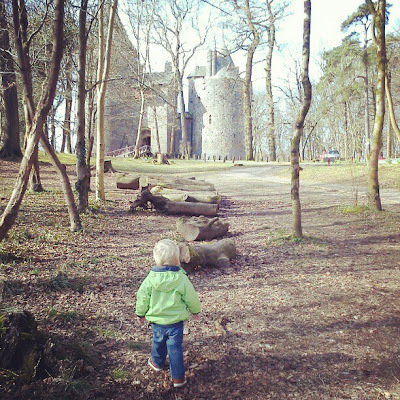 Castle Coch in Wales is a perfect place to go with a preschooler, first of all under 5's are free and it's a very reasonable £3.80 for adults and is a real fairy tale castle in a picture perfect setting on a hillside with loads of trails and hiking paths. 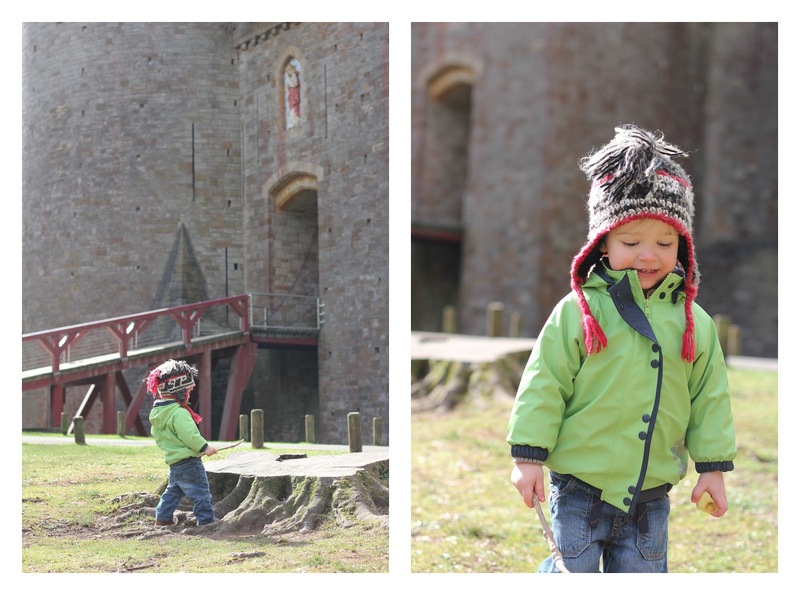 It also has a very cute little cafe, which is free to go into (if you don't want to explore the rest of the castle). Children are encouraged here and there is a lot of running around to do both inside and out. 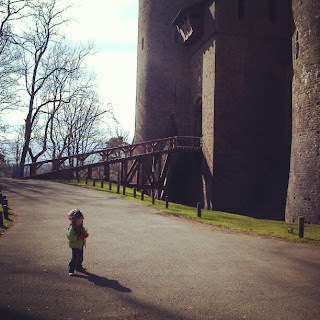 We ventured up to the top of the castle towers and and down to the dungeon and outside Mr A claimed a tree stump as his own castle to which he was the "King Knight"
We love joining in with the Country Kids from Coombe Mill linky as we strongly believe in a natural childhood spent outdoors in the fresh air. Loving the outfit and what a magnificent castle to be visiting. Looks like one of those glorious sunny but chilly days we have been getting of late. Glad that you made the most of it and linked up to Country Kids. Ah I adore this castle so much, it's like a fairytale castle!